Behind every well-groomed male celebrity is a barber with just as much raw talent. The only difference is that the latter has more of a behind-the-scenes role—a smaller, often less-appreciated stage to shine on, if you will. That’s why we’ve joined Bevel in switching things up for a minute to cast the spotlight on the guys responsible for keeping some of the world’s most notable celebrities looking fresh and ready for the camera lens #AllDay. We’ve already introduced you to the barbers of President Obama, Questlove, and Idris Elba. Now, it’s time for you to meet the man who keeps arguably the most polarizing figure in pop culture today edged up—yes, we’re talking about Kanye West. Ibn Jasper is first and foremost the personal barber for ‘Ye—there’s no two ways about it. But below the surface, the relationship between the duo is much deeper. Leaving his own successful barbershop behind in Chicago to move out west to, well, team up with Mr. West full-time, Ibn is part of a tight-knit inner circle that is seemingly on a mission to take over the fashion world. Kanye is obviously the orchestrator, but Ibn is making his own noise in the realm of men’s style, particularly as it relates to the luxury skate aesthetic. (After all, he&apos;s the one who leaked the coveted Yeezy Boost when he shared this Instagram pic—per Kanye&apos;s orders—so you know the man has some pull.) 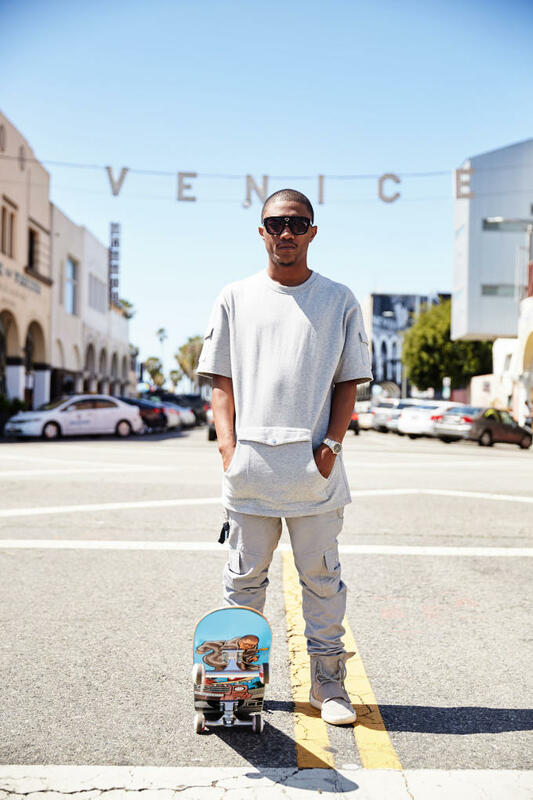 A longtime skater himself, Ibn sat down to dish on the life of a celebrity barber, how his relationship with Kanye came about, as well as the story behind his own rise to fame. Peep the complete interview here.